These fun coasters were inspired by Pabst Blue Ribbon beer and its’ signature blue ribbon label! 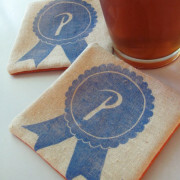 Set of 4-block printed coaster featuring a single blue ribbon labeled “P” for PBR. 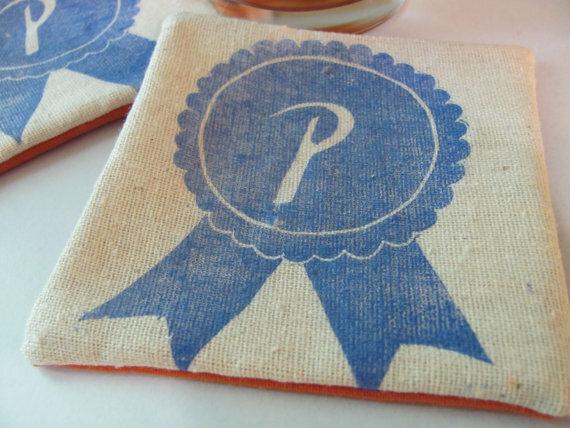 Coasters are printed from a hand-carved linoleum block onto 100% natural cotton and backed with a burnt orange cotton fabric. 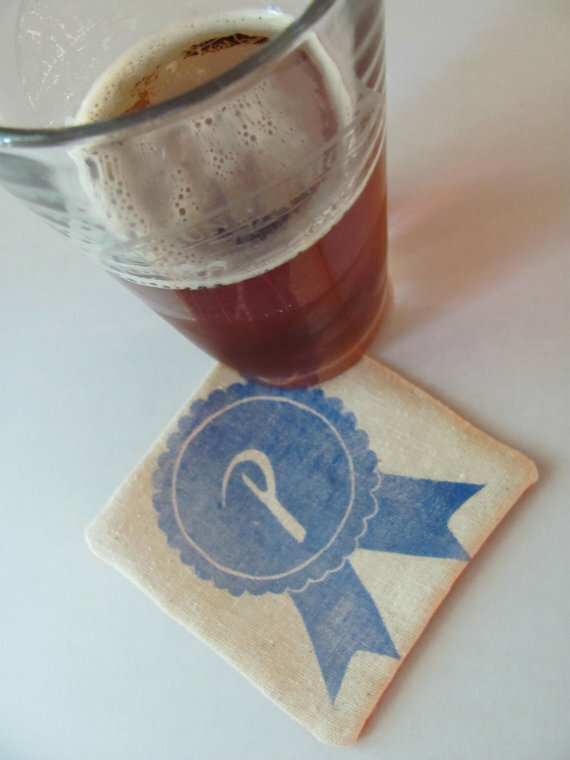 All coasters also contain a canvas insert for better absorbancy. 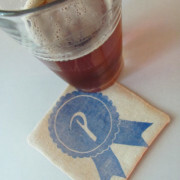 Coasters are washable and reusable. 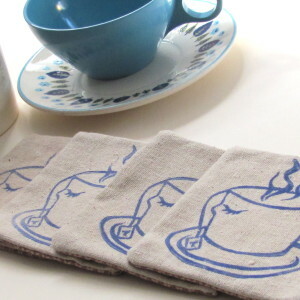 You can wash them on your machines’ cold cycle and they can be dried on a permanent press setting. Iron on med. 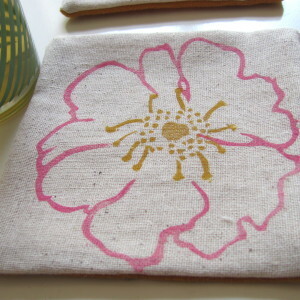 heat/cotton setting.